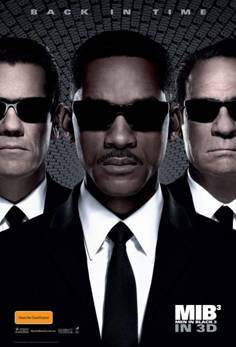 Movie Previews - Here Come The Men in Black! The Men in Black return this year and it looks to be just as fun as previous outings. We are reunited with J and a suspiciously youthful K (botox much!?!). No, no botox, just a touch of time travel. Josh Brolin steps into the shoes of a young Tommy Lee Jones and boy does he look, and sound, the part. J steps back in time to a place when spacemen weren't wisecracking Pugs but little green men with fish bowls on their head. This was a simpler time when Agents wielded six shooters instead of THE CRICKET! I was always a fan of the MIB franchise, the films, the cartoon and before all else the comic book so you can colour me excited for this latest foray into the unexplainable. Check out the brand new trailer after the jump!